Back in the summer, I attended a delightful tasting evening with Black Cow (BC) at Vinny at 6 in Dorchester. Two of my favourite things & I fell in love with Black Cow Vodka just a little bit more, especially with all the amazing concoctions we had in puddings & cocktails. Big shout out to Zach for organising a top-notch event! If you haven’t been to any of the Vinny at 6 events, you really should check them out. Head over to their Facebook or Instagram page & make sure you’re following them, as they sell out pretty sharpish. 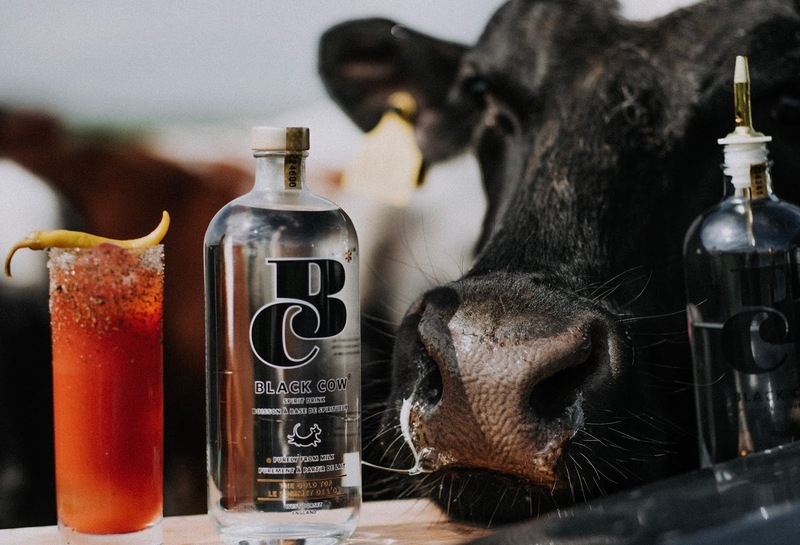 After the event, I got in touch with the lovely folk behind Black Cow Vodka who are nestled over the hill near Beaminster in West Dorset & they were happy to take part in an interview for Country Bumpkin Chic. The first of a few festive posts. CBC Q1) So, for anyone who hasn’t heard of Black Cow Vodka, is it really made from cow’s milk? CBC Q2) How did founders Jason Barber & Paul Archard come up with that unique idea? BC A2) The unique recipe is the invention of West Dorset dairy farmer Jason Barber. His inspiration came from a desire to diversify the produce from his 250 strong dairy herd & his personal love of vodka. CBC – Wow, well who doesn’t love vodka? CBC Q3) Is it a fact or myth that after drinking Black Cow Vodka, you don’t have a hangover the next morning? BC A3) Very true – our founder, Jason often says its so smooth, he can drink it until the cows come home! CBC – think I’ve found my new Christmas party drink! 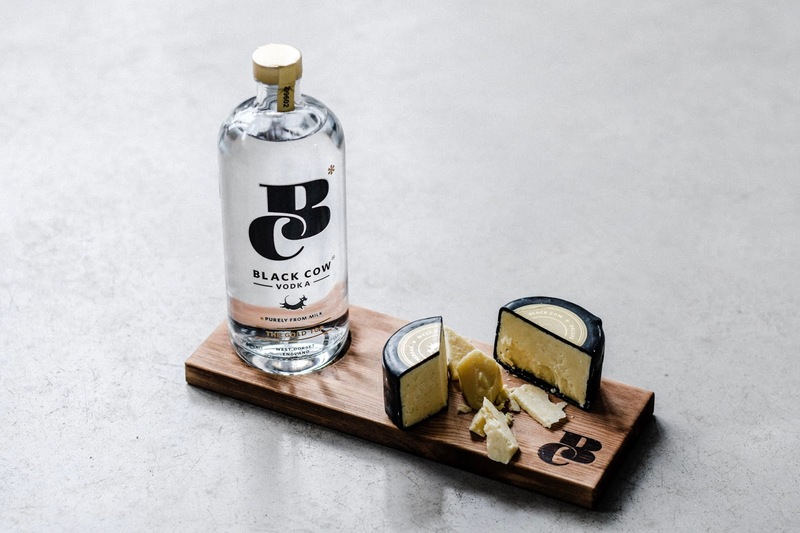 CBC Q4) What’s the best cheese accompaniment for Black Cow Vodka? BC A4) Our deluxe Cheddar, of course! We use all of the milk with no waste, the vodka is made from the whey & the cheese is made from the curds. CBC Q5) What Black Cow cocktail would you recommend our readers trying? BC A5) Ooh good one. We’d recommend a delicious warm cocktail called the ‘The Mooled Cranberry’. This cocktail has it all – fruitiness from the blood orange & cranberry, spice from the cloves & charged with vodka. CBC Q6) Where can we buy Black Cow Vodka in the shops? 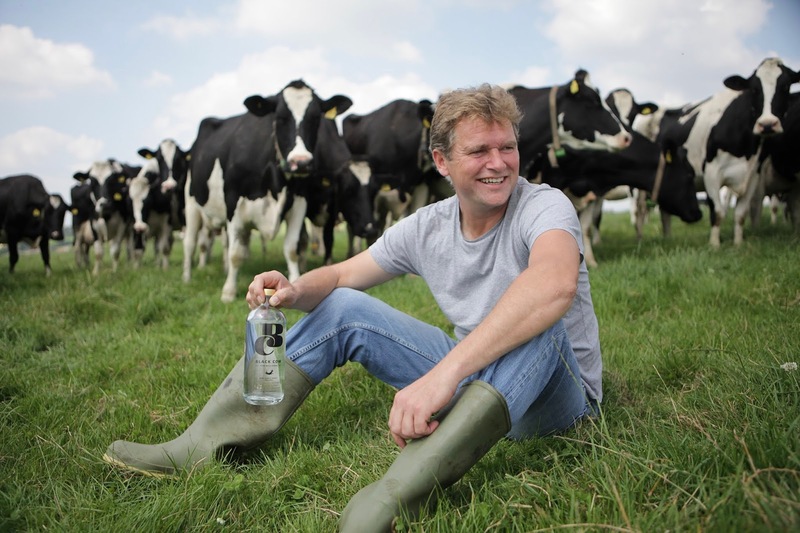 BC A6) You can find Black Cow Vodka in Sainsbury’s, Majestic, M&S, Morrisons & various speciality farm shops across Dorset. CBC Q7) There are lots of gorgeous items on your shop including the cow print glasses, but what I’m sure everyone will want to know is where can you buy the gold straws featured on Instagram from? BC A7) Since Black Cow’s inception we have consciously tried to create a sustainable, green working culture. & we’re concerned about the world’s waste crisis, as the UK discards a staggering 8.5 billion plastic straws a year – that’s an average of approximately 130 straws per person per year! So, we wanted to offer an alternative to the plastic straw & have developed a gift pack with a 24-carat gold plated stainless steel straw. You can shop the gift pack here. CBC – they’re gorgeous & I’m impressed that BC is doing their bit for the environment. If anyone wants to buy me this set for Christmas, it would make me very happy! CBC Q8) Do you do tours of your distillery & can we come? BC A8) Yes, we do! Our next distillery tour and lunch is on 15th December. You can find out more details here. 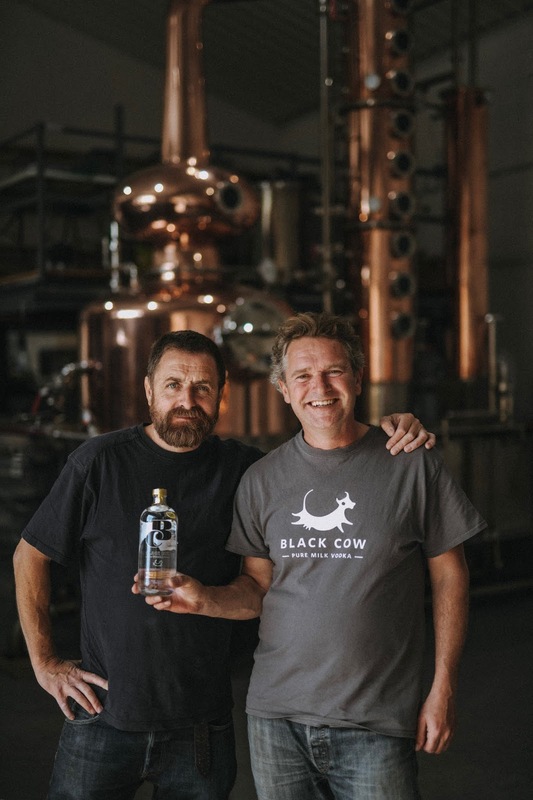 CBC Q9) What’s coming up for Black Cow Vodka, any other collaborations, new flavours, & anything special for Xmas? BC Q9) We’ve got some very exciting launches in 2019, but sadly can’t share any more details just yet! However, we have recently launched a ‘Travellers Edition’ mini for the Christmas period – the perfect stocking filler or bauble to hang from your Christmas Tree. CBC Q10) What events or festivals can we see you out & about in 2019? BC Q10) We’re in the process of planning events for next year, & hope to take The Black Cow Saloon to another festival closer to London & collaborate with a high profile sporting event right here in Dorset! For NYE we’re hosting a party at Mark’s Bar, Soho where guests will enjoy live music & delicious bespoke cocktail menu. To be the first to hear about our exciting news, please sign up to our mailing list. 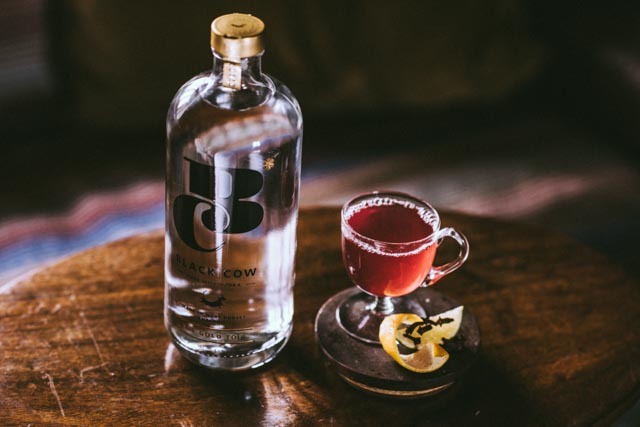 Thanks, Black Cow for taking part in the County Bumpkin Chic interview, we look forward to seeing the exciting ideas come to life in 2019! What other west country or Dorset based brands would you like to hear from on the Country Bumpkin Chic blog – let me know in the comments box below.